Minister Wally Schumann Talks about the Government’s Plan for Resource Exploitation in The Northwest Territories. Nevada is hands down the world’s premier venue for gold exploration and mining for a litany of reasons. Pistol Bay Mining Inc. shared its plans for the coming year with The Prospector and revealed their action plan as a major land holder in the prolific Confederation Lake VMS Greenstone Belt near Red Lake, Ontario. Winter drill program hits paydirt. Visible gold in the first hole drilled. Bravada Gold continues to find the overlooked hits. Colombian gold producer talks even brighter future. Fremont Gold Ltd. faces tough choice: riches now or fortune latter? 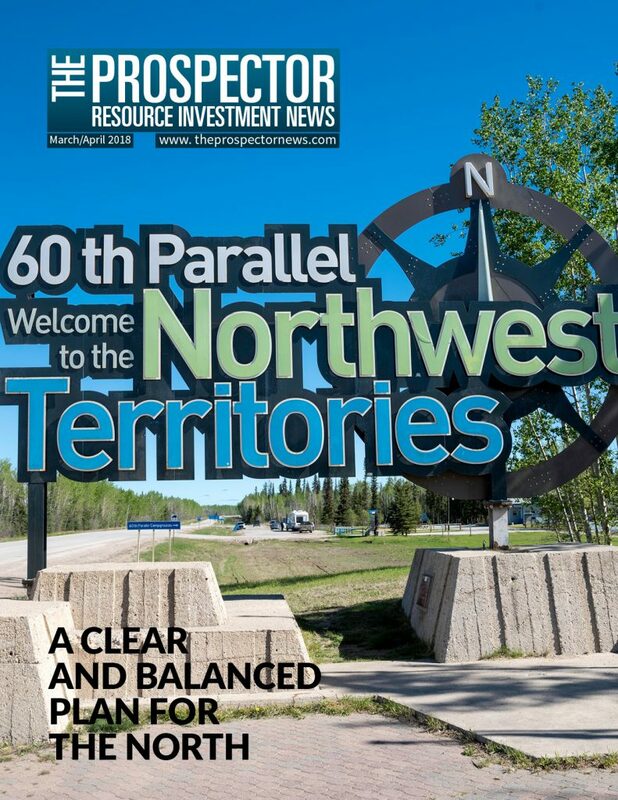 One of the most interesting area plays to excite the junior mining market these days is the Golden Triangle of northwest British Columbia. Why American Manganese might be the west’s best friend. Pasinex Resources Ltd. sets standard for zinc production. 36 PROJECT GENERATOR: Globex Mining Enterprises Inc.